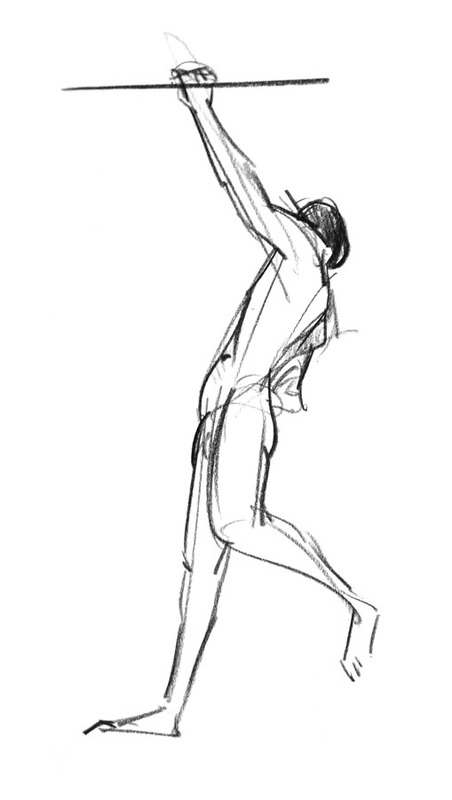 More studies from the Bodies in Motion website! 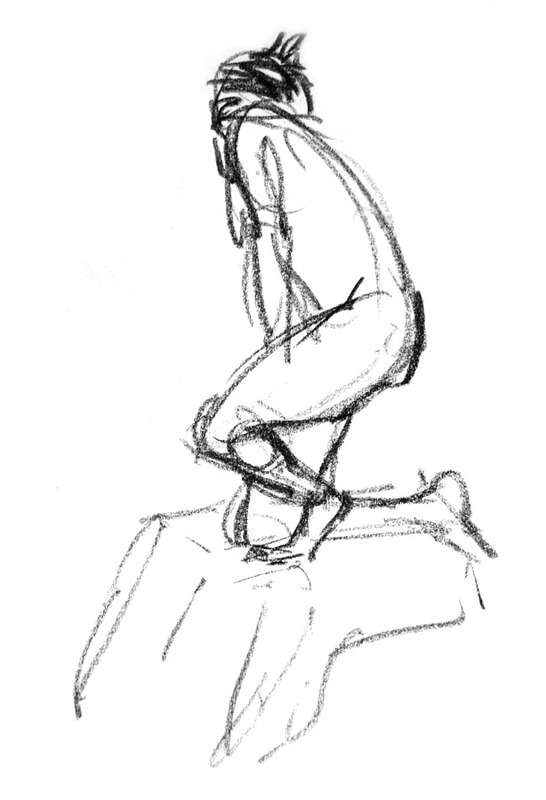 I began with some 30 second sketches, all of which were very rough so I haven’t uploaded any of them. 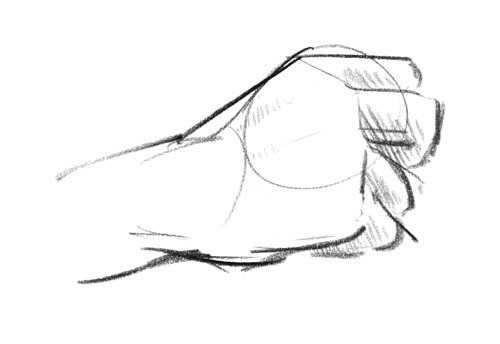 Next I went through one of the motions spending a minute on every drawing. Finally I spent quite a long time on a study of one image. The gif below is a bit jumpy because I was only drawing every third photo, but I think there’s still a good sense of the overall movement. 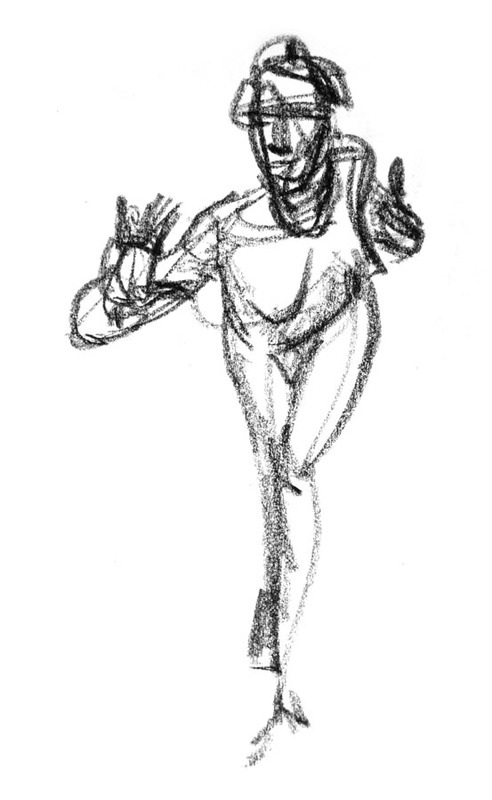 30- and 60-second gestures of expressions from Line of Action. 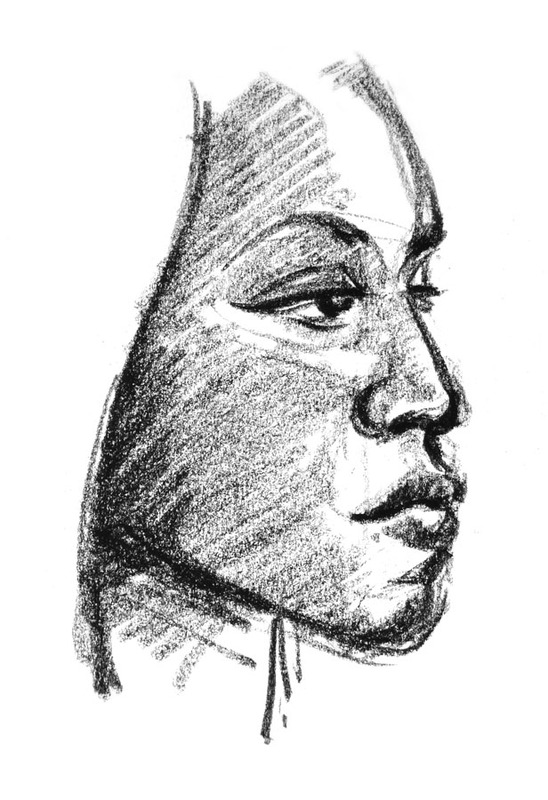 I enjoyed thinking about the shapes and movement within the face. 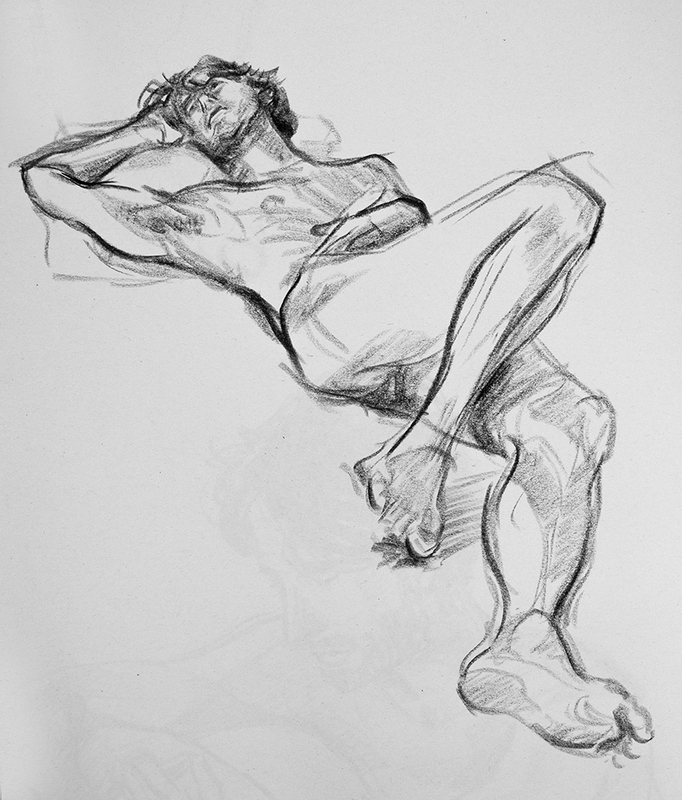 David modelled on Tuesday, holding some incredible poses that were often incredibly challenging to draw! It was a good session. 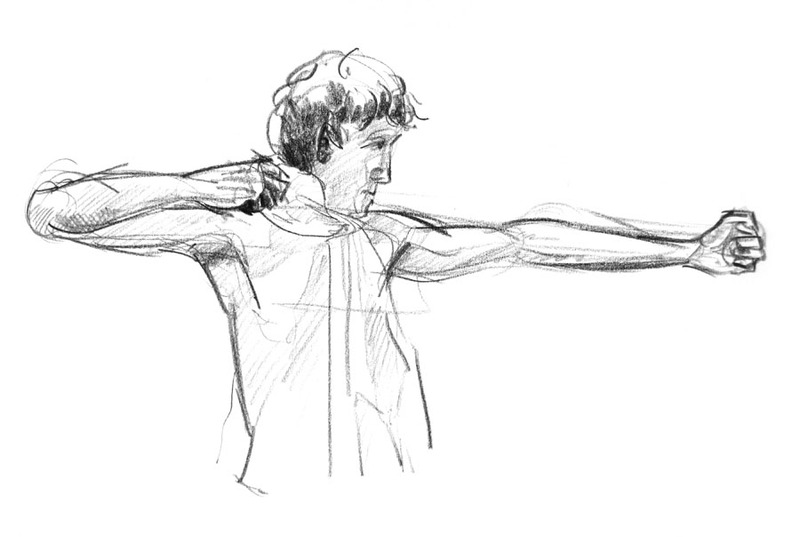 Sketches from last week’s life drawing session with Andy posing. 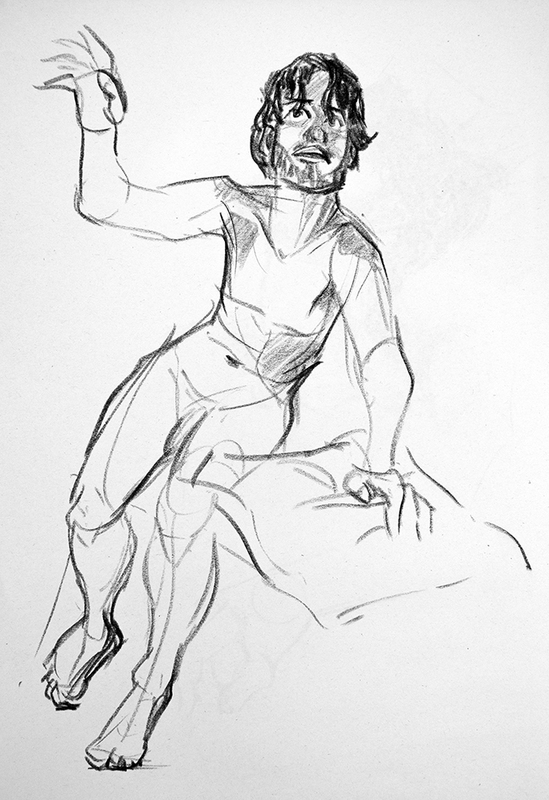 Bren modelled at life drawing on Tuesday. I enjoyed the variety of poses, and even drew part of the room using the mirror in the final drawing. 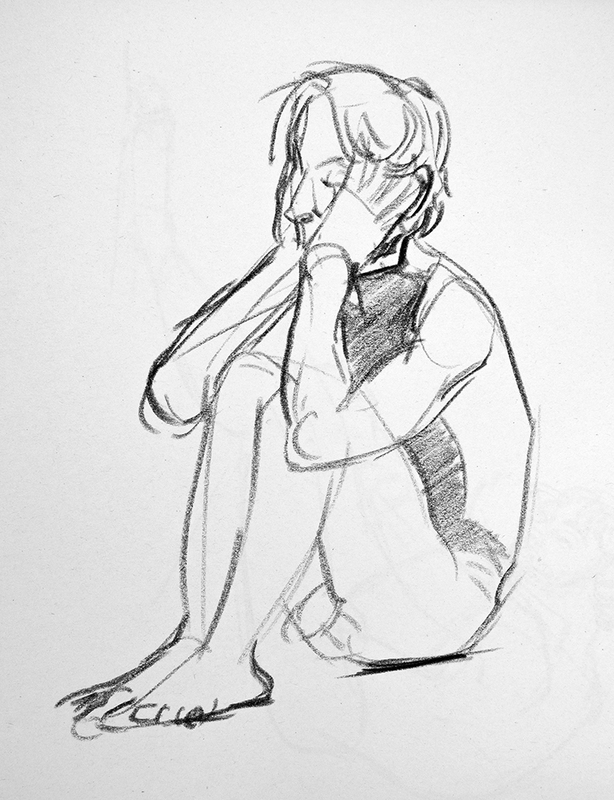 Andy was modelling at this week’s life drawing. He held some great poses, including one where he played the guitar. As he was actually playing the guitar rather than pretending to, I feel the final drawing has real movement. 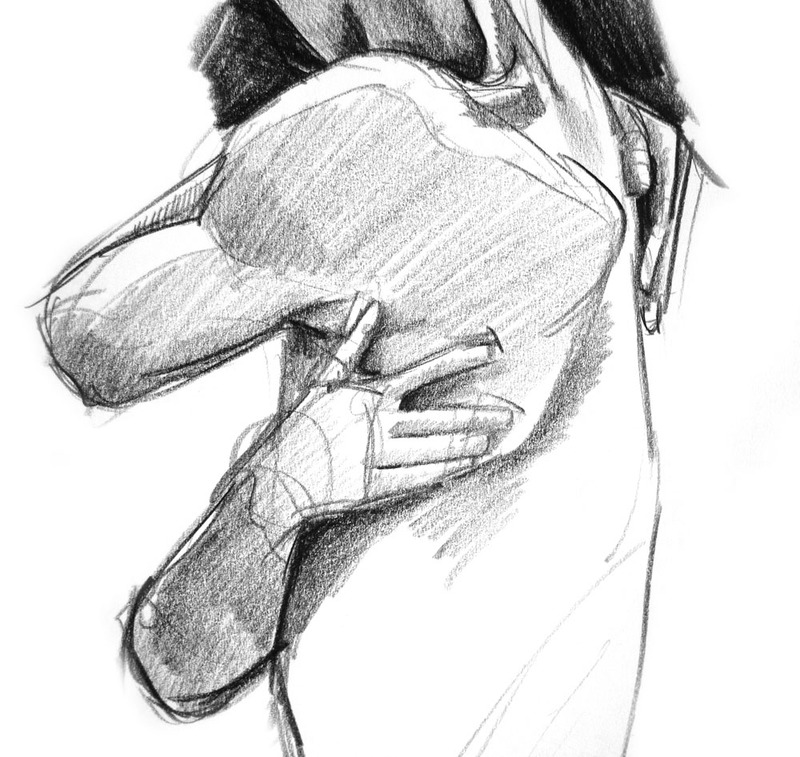 Here are some of my sketches from the last couple of weeks of life drawing, modelled by Jenny and Michael. 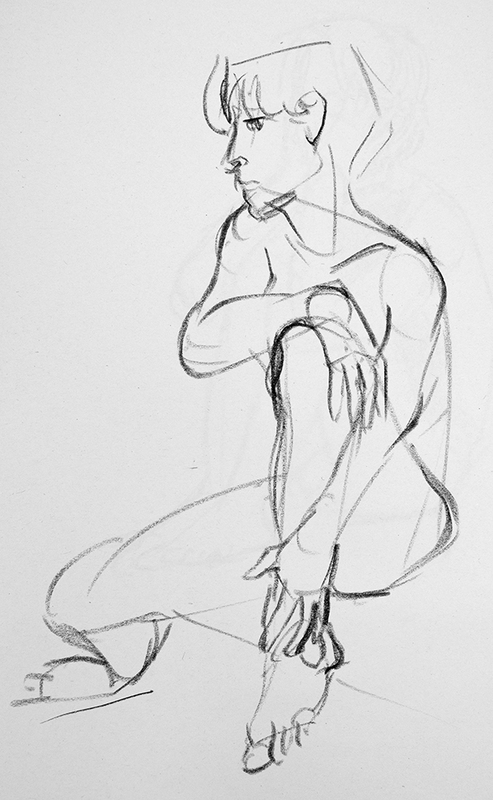 I had another great session of life drawing at The Haining with model Jacque on Tuesday. These drawings are from earlier this month. Another excellent model! I struggled after the break – most of the drawings below are from the first half. See my previous Inktober post here. I’ve been taking part in Inktober – a challenge to do one ink drawing every day of October. They’ve all been posted on my Twitter but I’m just now getting round to posting them here. I haven’t followed the official prompts; instead I’m drawing costumes through the years referencing John Peacock’s fantastic book Costume: 1066 to the Present. Along the way I’m creating little stories for each pair of characters. It’s been fun! After being in Glasgow for almost a whole month (!) 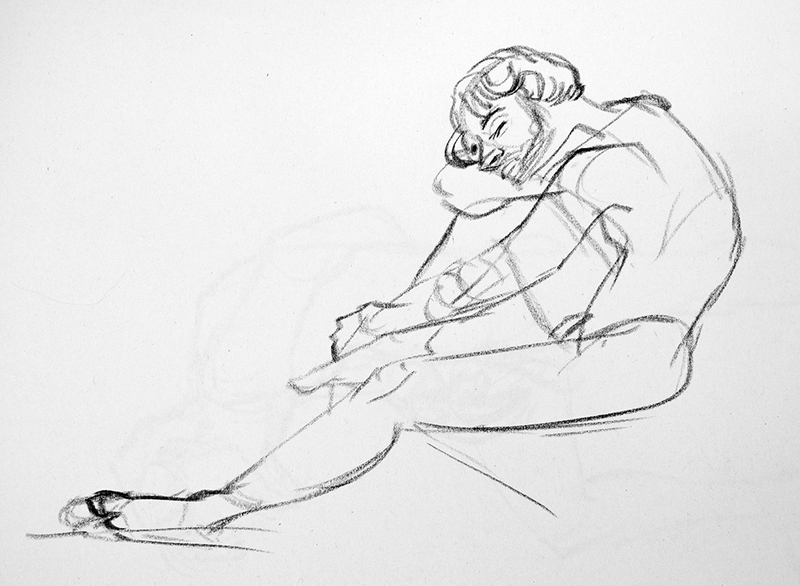 I made it along to life drawing at the ATYN here on Monday. The location and the models were great, but I missed having short poses after the break! 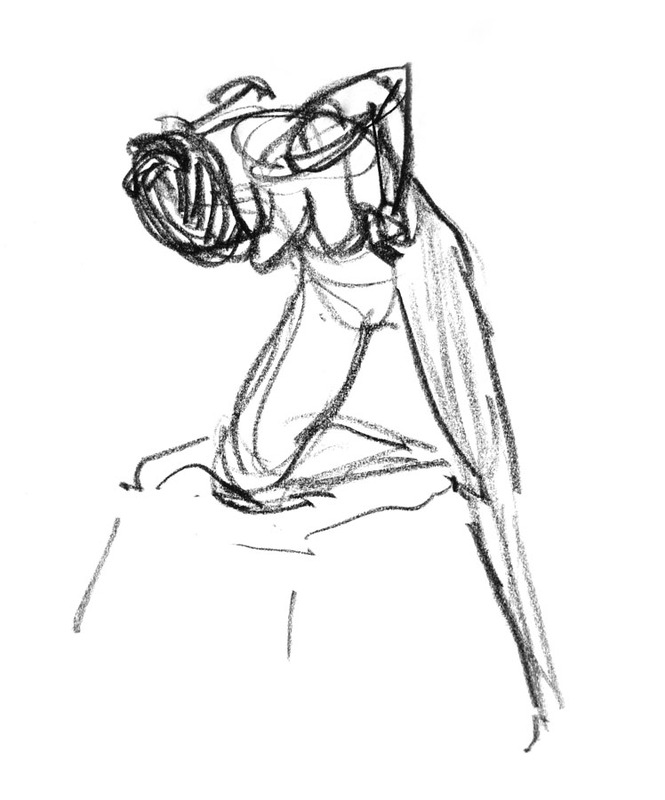 I felt I fiddled with my drawings too much during the longer poses. Hopefully I’ll have the chance to go along again. Some sketches from Tuesday. The models were great – lots of lovely poses! It was a quiet night at ATYN on Tuesday, but there were some great poses! Though it took me a while to warm up, I was pleased with my drawings. Here are a few drawings from the last couple of weeks! I’ve not been too good at uploading my drawings recently. 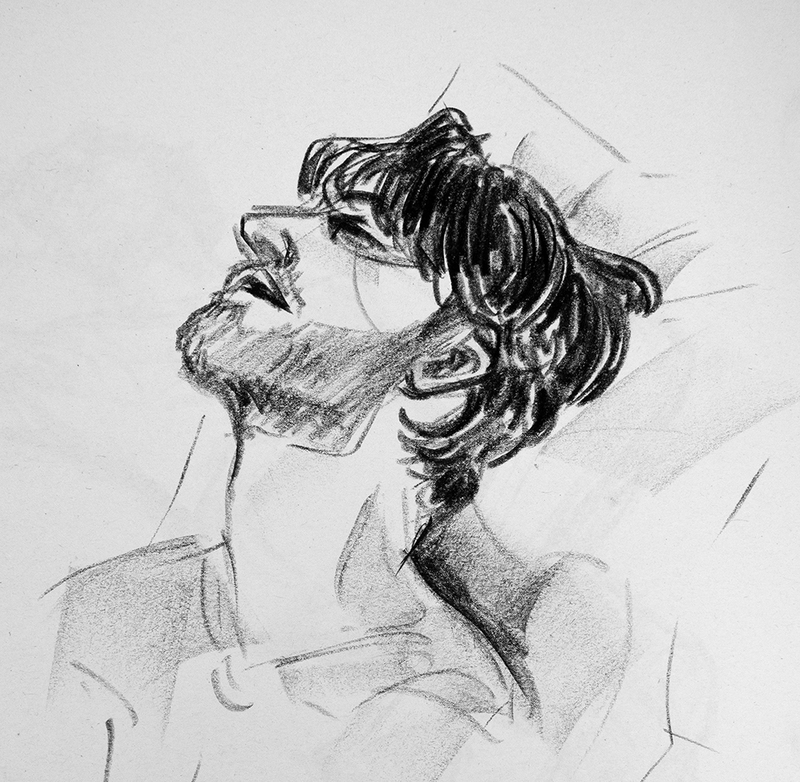 Here are a few sketches from the last few weeks of life drawing! Sketches from yesterday’s class. I had a lot of fun drawing the short poses. ATYN has recently added another model in Edinburgh, meaning there are short poses before and after the break.